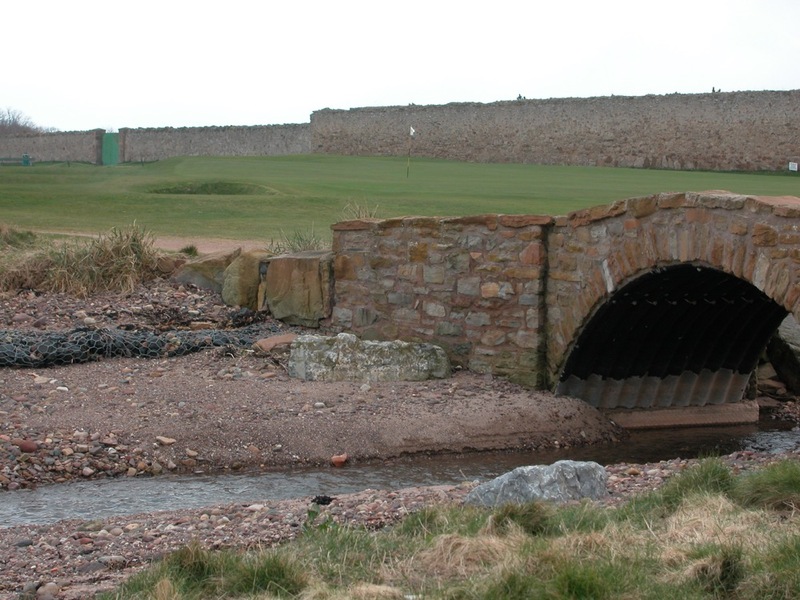 Dunbar Golf Club in East Lothian Scotland occupies the most narrow stretch of links land we have ever seen for a golf course. 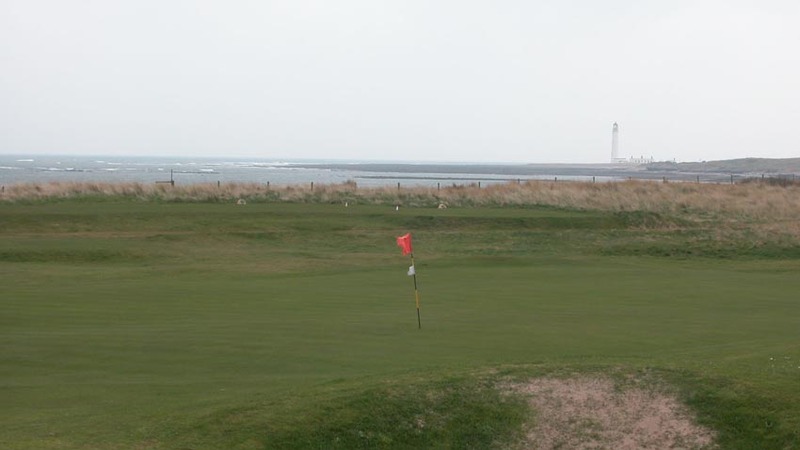 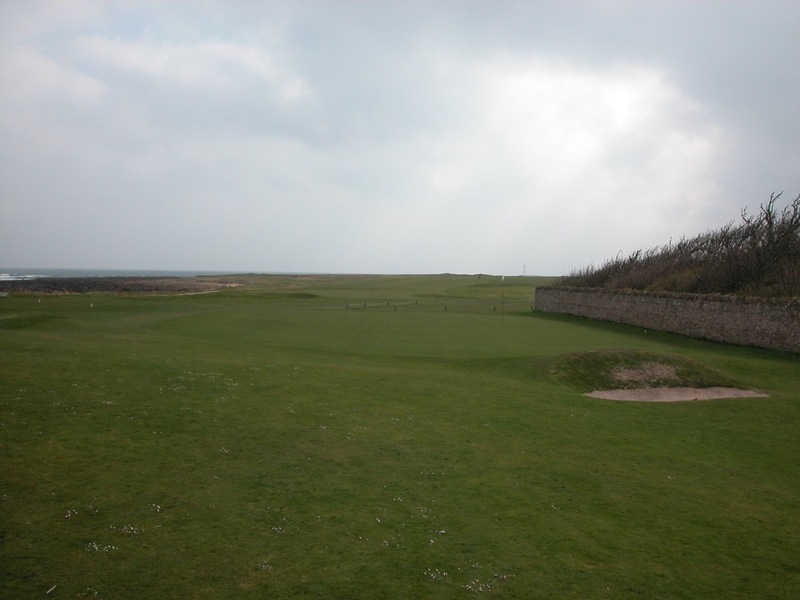 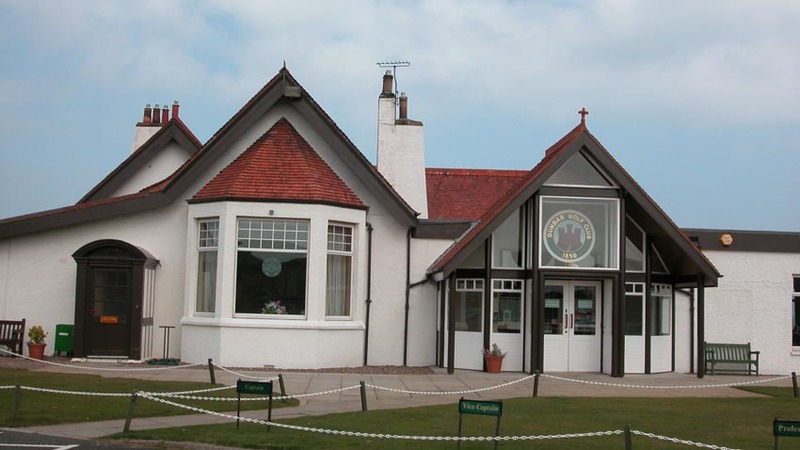 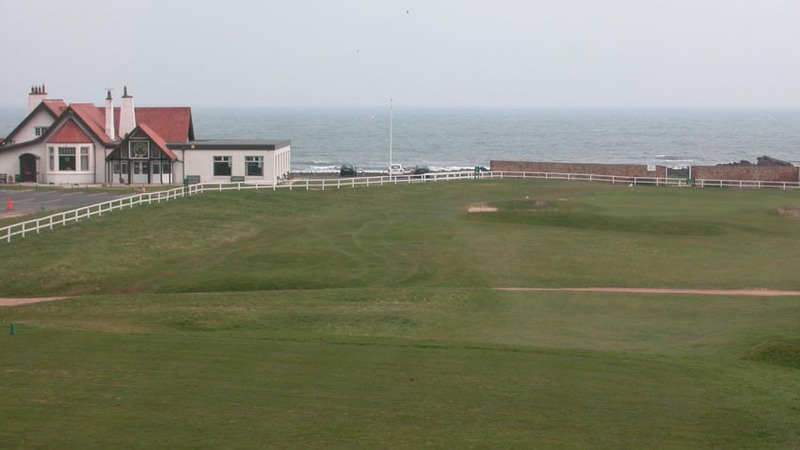 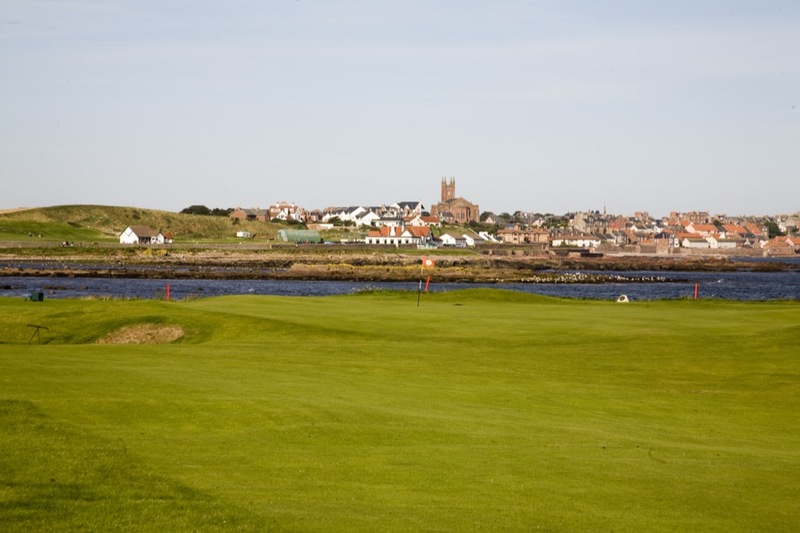 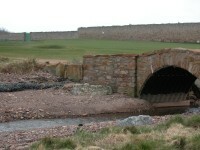 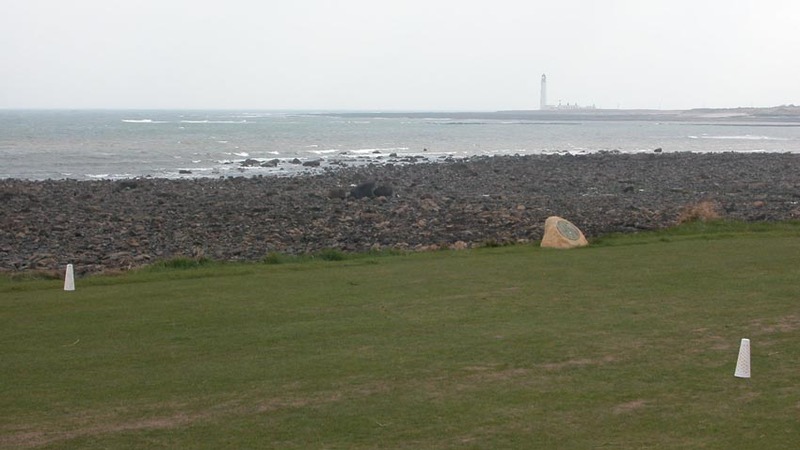 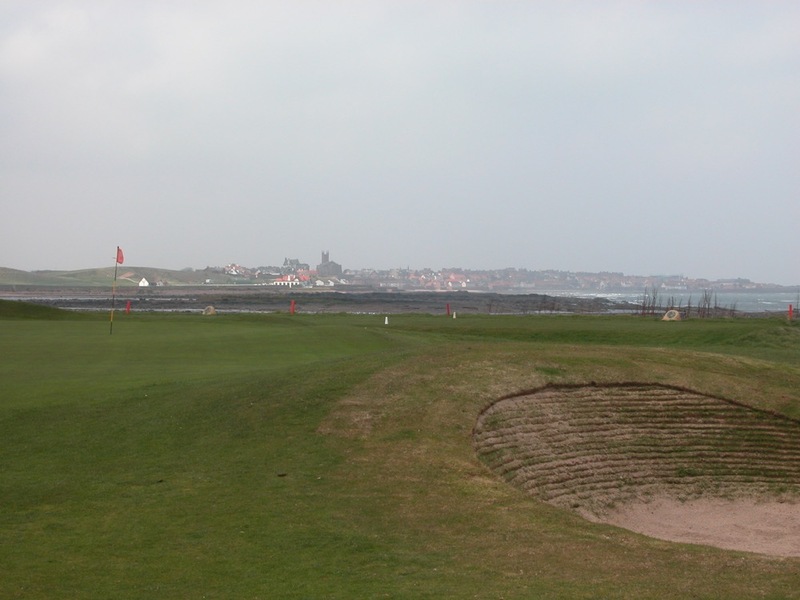 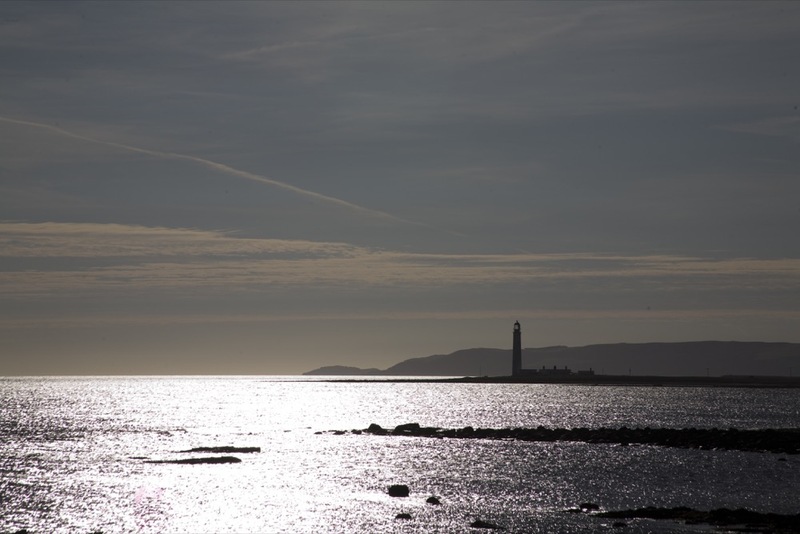 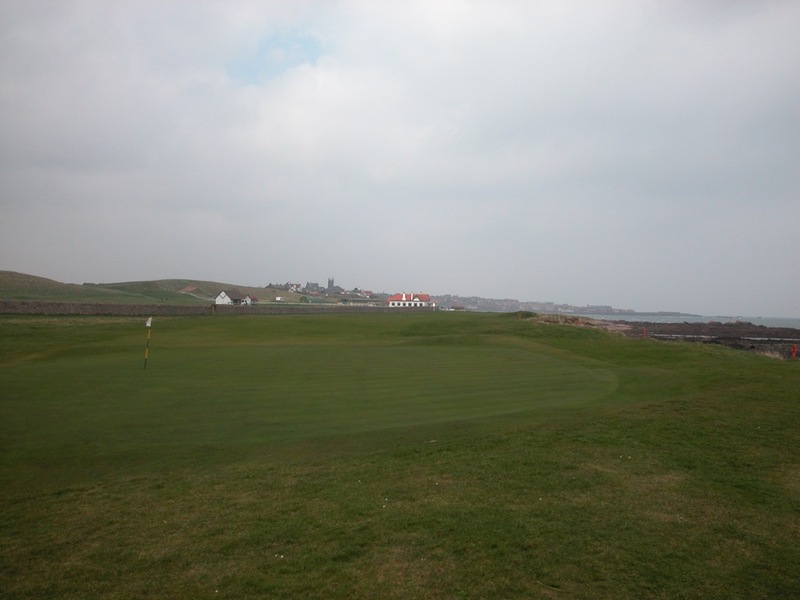 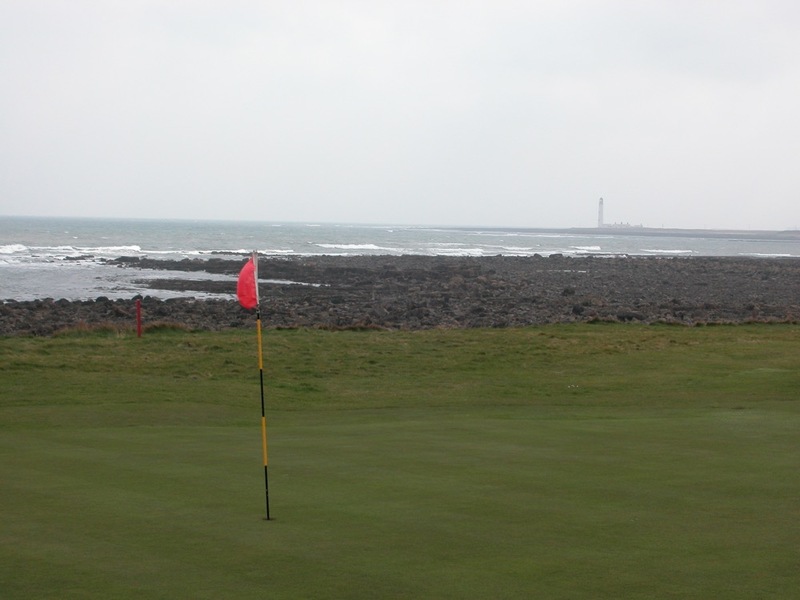 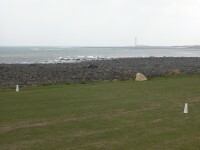 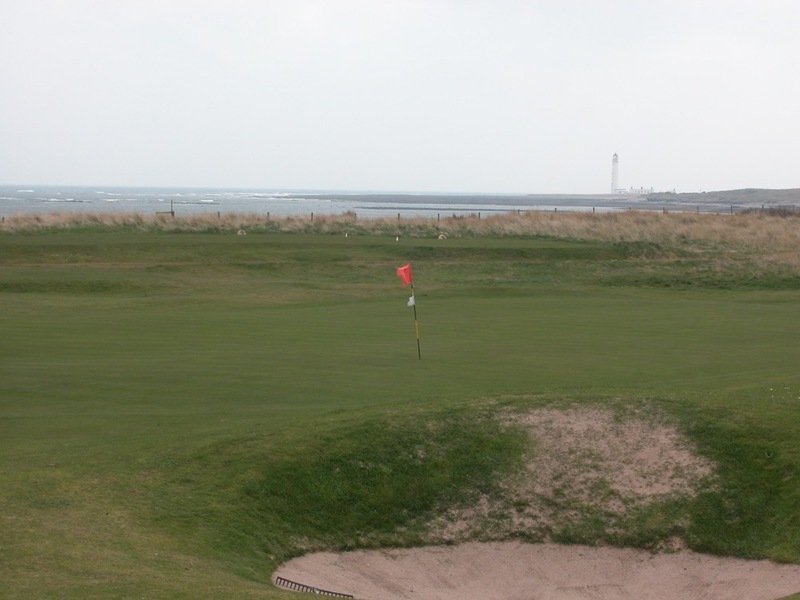 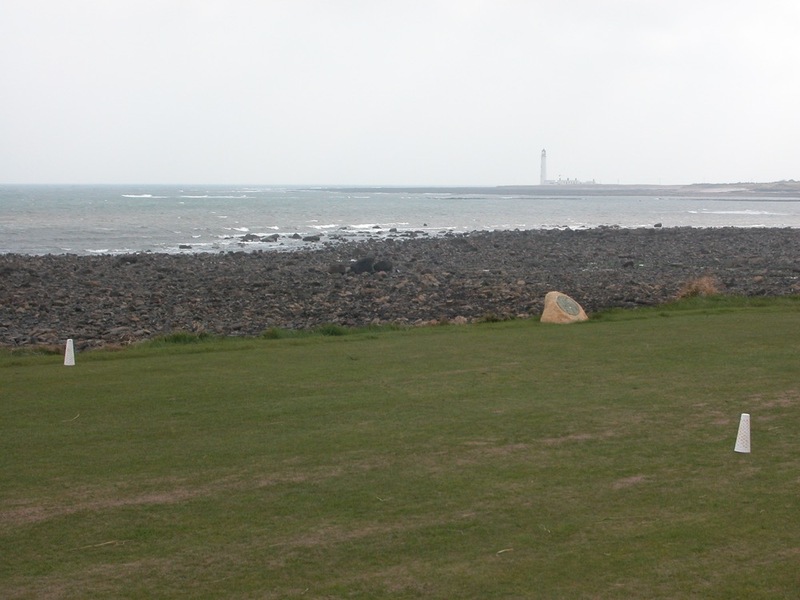 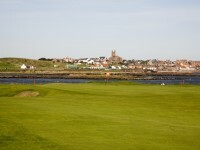 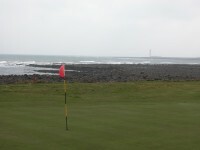 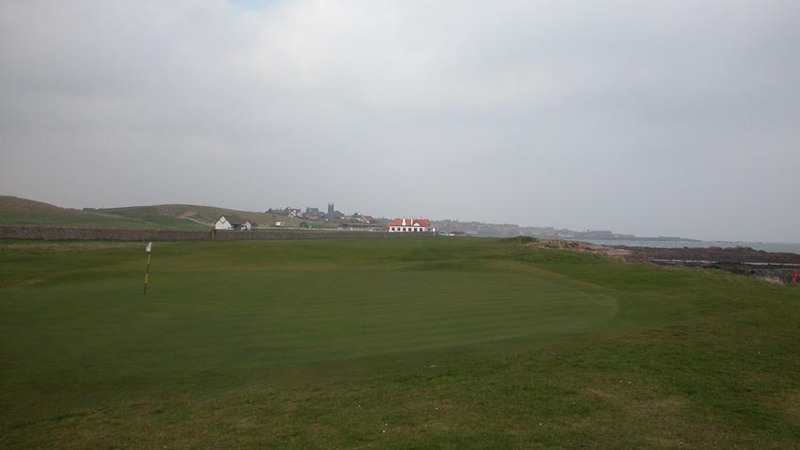 In fact, Dunbar Golf Club is barely two holes wide for most of the course, and at its most narrow point Dunbar Golf Club is a mere 10 paces from boundary wall to the sea! 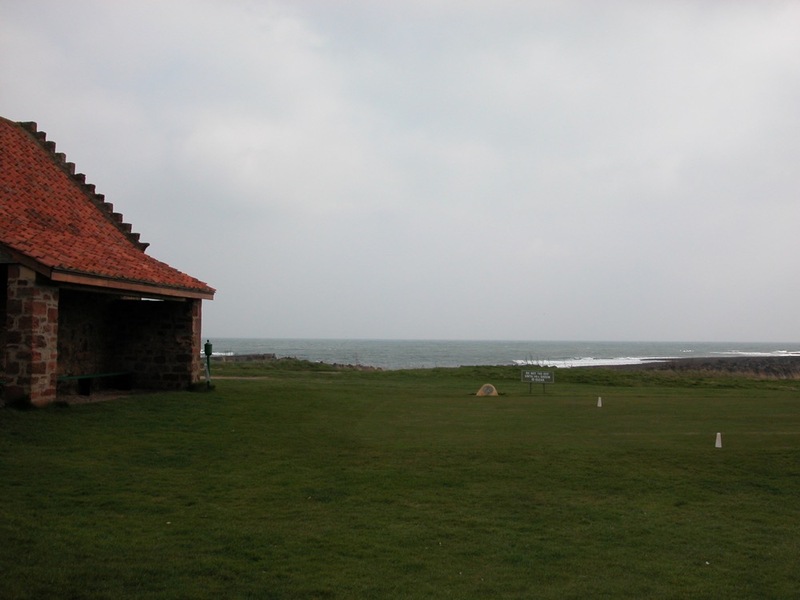 Tiny, cozy, and delightful, virtually each hole at Dunbar Golf Club in Scotland is right at sea level, with the rocks and beach in play, and the winds howling off of the water. 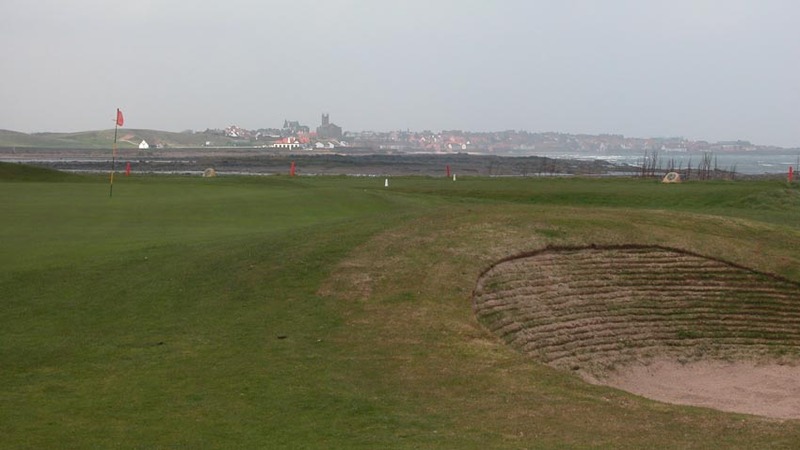 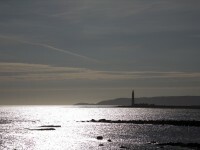 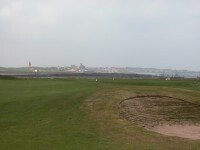 Dunbar Golf Club works its way out to a magnificent lighthouse and some ancient ruins, then comes back to town in a traditional out-and-back manner, a’ la St. Andrews and North Berwick, with various steeples to choose from in the town of Dunbar’s skyline when trying to find a line on the way home. 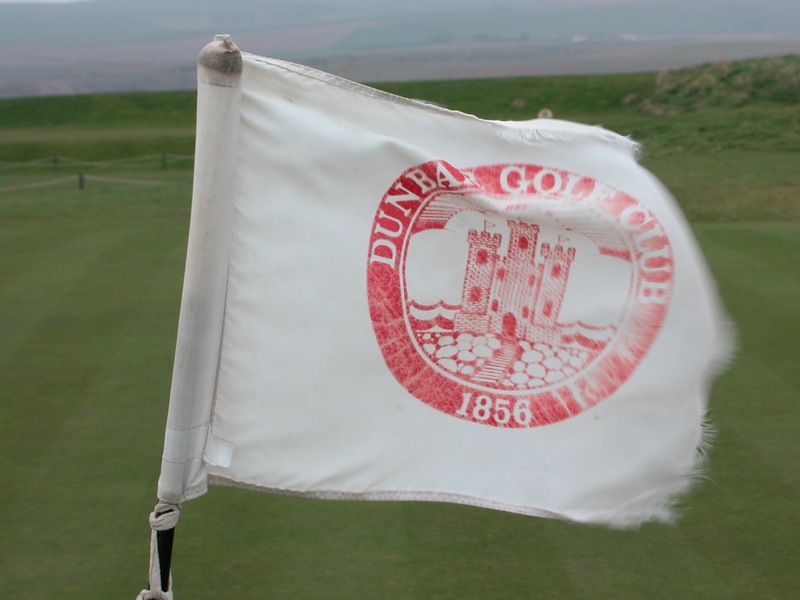 Dunbar Golf Club is a great way to start an Scotland golf trip, as Dunbar Golf Club is the closest course time-wise from Edinburgh Airport thanks to the excellent A1 highway. 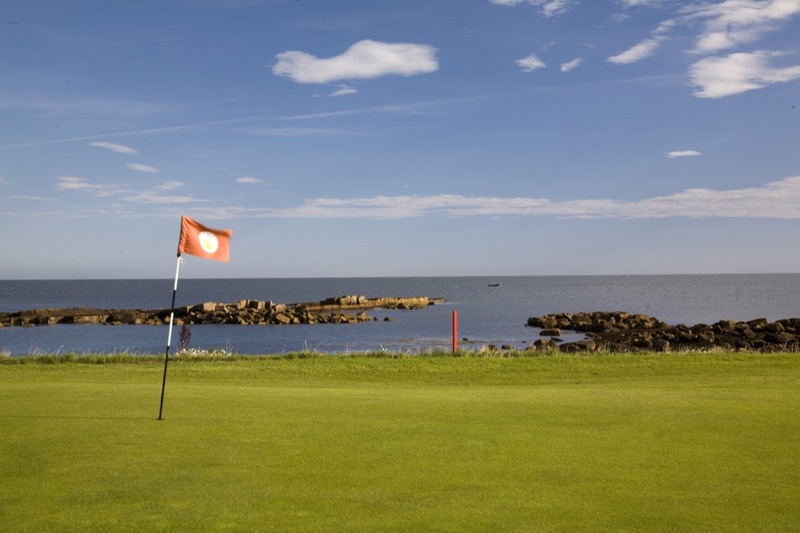 Another Open Final Qualifying venue, we guarantee that you’ll have a “blast” at Dunbar Golf Club, especially if you get disrupted by the dynamite at the nearby quarry! 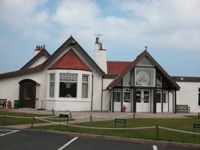 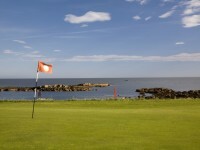 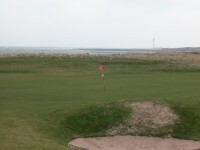 Dunbar Golf Club is simply as much fun to play as any in Scotland!